What’s the first thing that comes to mind when you think of your buyer journey? If you said “funnel” then you’re not alone. The sales funnel has been a well-entrenched image in sales folk’s minds, ever since it was first developed in the late 19th Century by Elias St Elmo Lewis (great name, huh?). 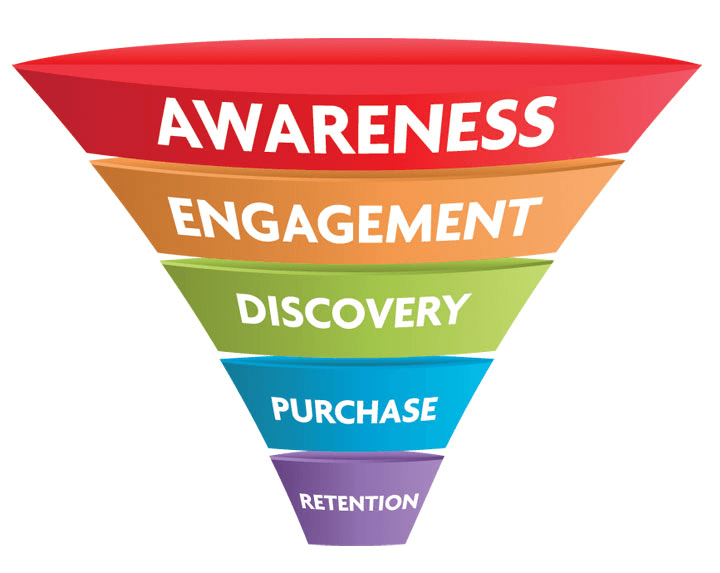 The wide, catch-all top of the funnel – usually known as the “awareness stage” gives way to the narrower “consideration”, “engagement” phases, through to the bottom of the funnel where the customer makes a conversion. In practice, this means an initial top-of-funnel broadcast would be sent far and wide in the hope of gaining the attention of a few consumers. Those would filter through the tunnel, becoming fewer and fewer until a handful make a purchase. 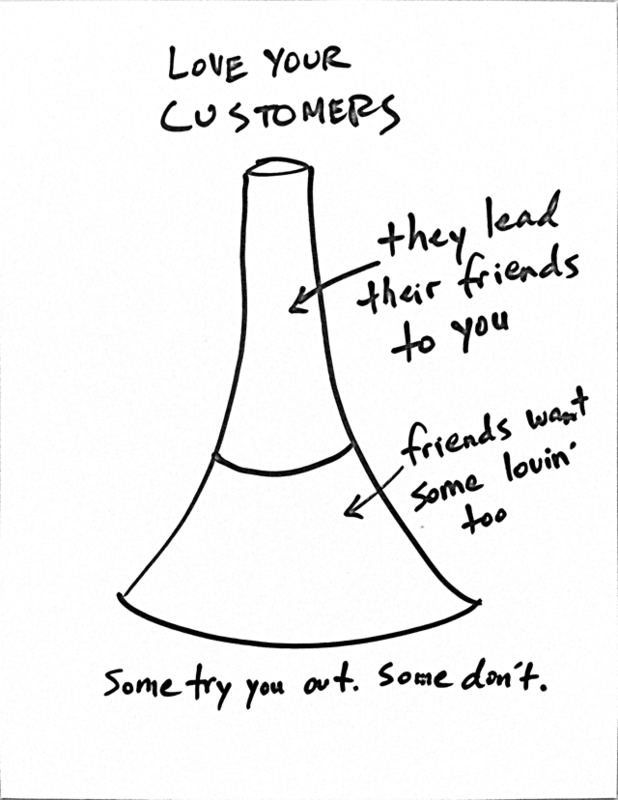 For decades, this funnel has been a useful tool to reflect the interaction between company and customer, and the way buying and selling takes place. However, in today’s society, where information is abundant, attention scarce, and the consumer, frankly, more sophisticated, the simplistic and linear funnel format simply doesn’t hold up. I’ll discuss 5 of the classic sales funnel’s shortcomings, and help you to identify changes you can make in your sales strategy right away. When was the last time you responded to a direct mail from an unknown company with a bit of basic research, and soon after, made a purchase? You scroll through your Facebook feed and see an ad that piques your interest for a few seconds. You then forget all about it until you see a friend mention this brand on Instagram. You decide to check out their Instagram account (and online store), like what you see, and follow them on Instagram. A few Insta Stories later and you decide you quite like their brand values and so check out their products in more detail. Whilst you’re on their website, you sign up to their newsletter. It’s not until a year later, when you receive a marketing email with a 10% discount and free P&P, that you decide to make a purchase. You receive your product, love it, and rave about it on your social accounts. A while later, you decide to make another purchase – a different product this time – and so check back in on their website. This journey is not only a lot more protracted (particularly in the engagement and discovery phases), but it’s also cyclical. In the initial stages of awareness and decision-making, you have gone around in circles between Facebook, Instagram, website, and email, until you eventually move through to deciding to make a purchase, and then go on to repeat purchase. Check out some of the more cyclical formats such as HubSpot’s “flywheel” sales journey. 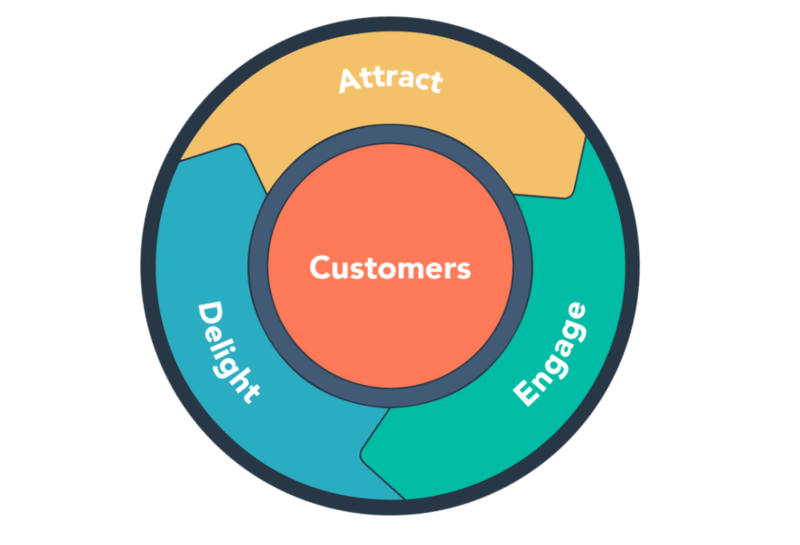 The circle represents the usual HubSpot “Attract – Engage – Delight” stages. This time, the customers are at the centre of a continuous circle, which demonstrates that they are the driving force of the process. It also discusses “friction” – the elements of tension that slow a flywheel down. These could be communication problems between you and your customers, kinks in the journey, gaps in resources, or many other things. The sales funnel, by definition, assumes that the journey ends. And rather unceremoniously, if you ask me. Customer are groomed into the fold, carefully nurtured through their journey, only to be spat out the other end once they’ve made their purchase. And while the sales and marketing world has acknowledged this by tacking on a “loyalty” or “delight” phase at the end of the funnel, there is still an assumption that the customer disappears after they’ve converted. Given that the cost of customer acquisition far outstrips that of retaining existing ones, sales people are tending to focus more on customer retention. Take a look at what happens to your customers once they’ve made a conversion (a purchase, booking, order). Do they disappear into thin air? Do you even know what happens to them? If you don’t know, then the chances are they’re probably not coming back for more, unless your product was extra special. Either way, you need to implement customer tracking via a CRM or email marketing integration. Identify ways of continuing your relationship with your customers after a conversion is made. Focus on your immediate after-sales service, ongoing help and support, and your longer-term sales and marketing content. Sales reps to be proactive about keeping in touch immediately after sale, and on-hand to help with any issues. Email marketing automations to keep in touch with news, promotions, personalized recommendations. Social media content and live stories to stay connected with your customers. Video or text resources on your website to help people get the most out of the product or service they’ve purchased. Chat-based support to help with customer queries and problems. 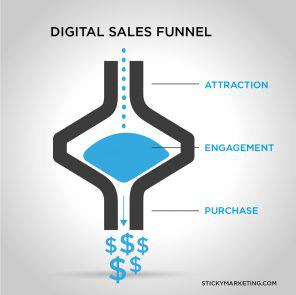 The traditional sales funnel wants to pull as many people as possible down the funnel to make a purchase. The modern consumer is more sophisticated than this. It’s estimated that 71% of customers shop with a scenario in mind, rather than a specific product. And they don’t like being sold to, with 80% of consumers preferring a salesperson who doesn’t try to sell them products they don’t need. What really matters to customers – almost above product and price – is the buyer experience. And this translates into revenue too. According to the Gartner Group, companies that focus on customer experience see 60% higher profits than their competitors, and 80% of revenue comes from just 20% of existing customers. On the flip side, research done by Adobe showed that 74% of customers get frustrated with websites that offer content that fails to respond to their needs and interests. These needs and interests aren’t necessarily making a purchase. They could be finding a piece of information, learning more about a product they’ve already purchased, or just enjoying engaging with your brand. Look at your buyer personas (if you haven’t developed your buyer personas then HubSpot have some great resources to get you started). Identify what your personas are looking for asides from your product or service. Does trust mean a lot to them? Do they need to know that your brand has a social or environmental conscience? Designate a sales rep to each customer, so that continuity of care is guaranteed. Sales reps need to focus on nurturing the customer, helping them through their journey, providing them the right information at the right time. Make sales support channels – including live chat- available on your website. Where 24/7 support isn’t available, direct customers to helpful resources. Go live on your social media to discuss your brand values or causes you work with. Build trust by signing up to 3rd party review sites. Ask your customers to give you a review, and respond to your reviews (good and bad) where possible. Personalize all correspondence, using your email marketing software (Mailchimp provides “merge tags” to make this easy for you). Encourage “refer a friend” schemes, offering incentives to do so. The classic sales funnel oversimplifies the process by which a consumer moves from stage to stage, in one direction. It implies that there is one single journey that all customers make when they come into contact with your brand. But, in reality, the modern buyer journey isn’t this simple. When you consider the many and varied ways in which consumers interact with brands today – digital and offline advertising, social media, email, organic search, in-store – it’s impossible to see how it would fit into the classic sales funnel at all. According to Marketing Week, as recently as 2001, the average consumer typically used 2 touch points when buying an item, with only 7% using more than 4. Today, they’re using an average of around 6 touchpoints, with 50% regularly using more than 4. Consumers also prefer a personalized experience, with 77% expecting brands to cater for their particular tastes. Brands who both acknowledge the variety of interactions from their customers as well as the opportunities for personalization, can start to provide richer customer experience. Some detailed customer journey mapping will help you to map out all the touch points between you and your customers. Start with some persona research, identifying your customers’ goals and expectations from a brand and in general. List all their touch points with your brand, both on- and offline and on all media. Make a List of their emotions and expectations at each touchpoint. List all the obstacles that stop them achieving their goal(s). Put together a roadmap in a format that suits you (perhaps an Excel spreadsheet, or a tailor-made chart). Pay particular attention to the areas of your customer mapping where a transition is made (for example, make the transition between online to in-store consistent and seamless). Identify all the opportunities to provide a personalized customer journey. 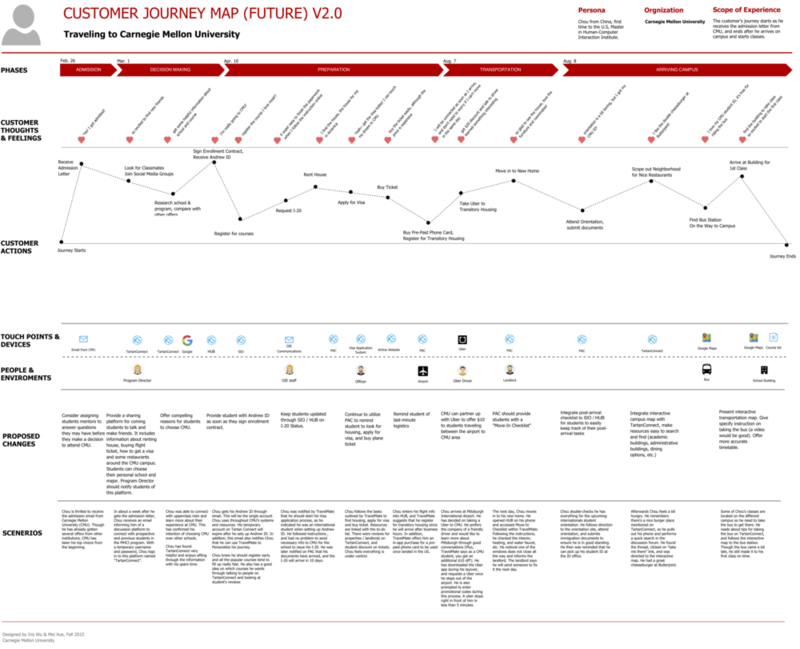 For more on building a customer journey map, check out this guide from HubSpot. When the classic sales funnel was developed in the 1890s, information was scare, and so attention was abundant. As a result, the salesman could wield a lot of power over consumers. The sales funnel neatly summed up the way a product was broadcast far and wide, in the hope that at least some attention would be grabbed.The buyer prospects weren’t necessarily quality leads; they didn’t need to be. Irrelevant prospects were screened out, and the promising ones nurtured further through to purchase. By comparison, today’s consumer holds all the cards. Information is everywhere and product competition is high. According to Marketo, 96% of prospects who come to your website, aren’t even ready to purchase, they just want to check you out. Sales teams need to keep those prospects informed and engaged until they’re ready. And those who focus on lead nurturing are most likely both to increase sales, and encourage recommendations to friends and family. In fact, a prospect whose attention is held by a brand, doesn’t even need to buy. They just need to rave about you on their media channels and their friends and family might check you out. Your sales strategy needs to focus on ways of gently coaxing your prospects along their buyer journey. This means makes customer service a top priority. Sales reps should provide key information at the right time, and be on hand to answer questions. Create dedicated landing pages for lead nurturing, and ensure that all product pages have clear product descriptions, pricing, and up-to-date availability. Consider implementing comparison functionality on your website to help prospects with their research. Pay attention to social proof to demonstrate the quality and trustworthiness of your product/service (72% of consumers say that positive reviews gain their trust in a company). Develop a cyclical funnel to keep you strategy evolving. Focus on after-sales support and content to encourage loyalty and recommendation. Prioritize quality and enduring relationships with your customers. Develop multi-layered customer journey mapping. Pay more attention to lead nurturing. 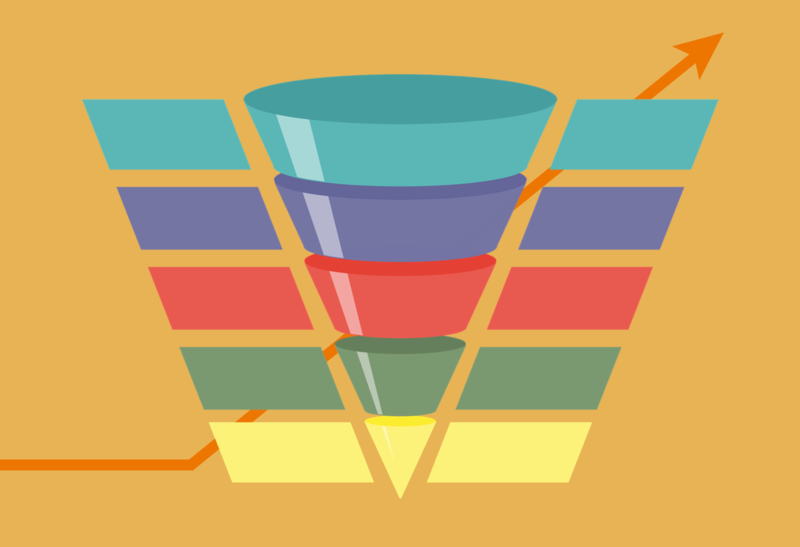 The classic sales funnel reflects neither modern sales strategies or consumer decision-making. It’s linear, rigid and focuses heavily on driving conversions. Today’s consumers put more trust in ever than brands that have either been recommended to them, or with whom they’ve developed a relationship over time. As such, their journey might be very quick, or take a considerably long time, looping back and forth between engaging and and evaluation. Either way, the consumer is very much in the driving seat. The key is to develop your own customer journey that most describes the interactions between you and your customers’ journey, in all its multi-faceted, twisting and turning uniqueness. And, although it’s likely you’ll still come across sales funnels – they’re not going anywhere just yet – it doesn’t mean you have to use them. My advice, scrap the word “funnel” from your strategy today, and turn your attention to developing your own unique model.